Sharing Wanders charity, a Charitable organisation registered in UK, on Saturday handed over two classroom block to communty of Chissy Majaw Village in Jokadou in the North Bank Region. Sparing at ceremony Tamsir Chume, the ward councillor of Dasilami ward in Jokadou commended Sharing Wonder Charity, of construction of Arabic school two classroom block, borehole and toilet facility for the community of Chissey Majaw. Mr Chume, noted that the school would provide opportunity for children to learn and know their religion. Amam Ali Director Operation of Sharing Wonder Charity has spoken the charity commitment of providing humanitarian assistance to less privileged families and society to enhance their wellbeing. He lauded JAVED, SHAZIA & FAMILY in UK for funding the construction of Arabic School and providing water supply to provide conducive learning and teaching for children. The school is dedicated to Munawara Sultana School. 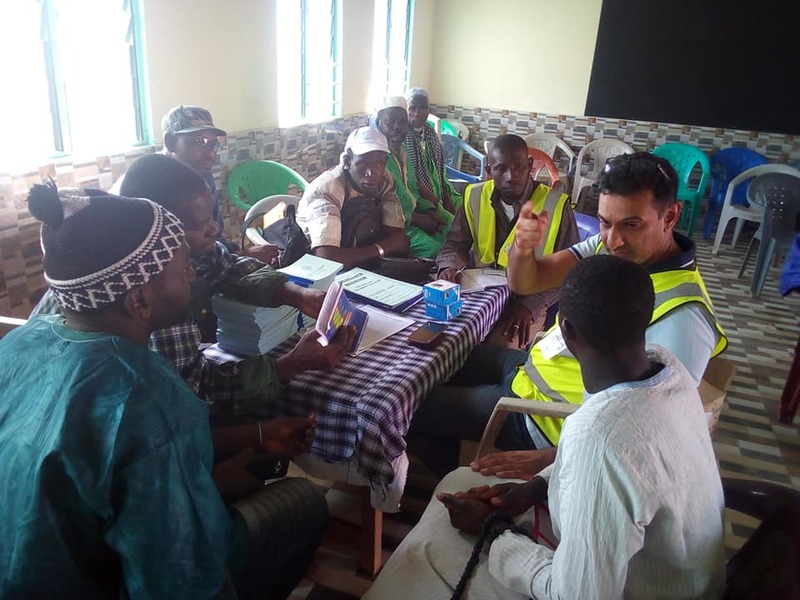 He noted that the charity has three principles and all aim to ensure things works for the best interest of the community and charity and includes, School operate in the rights direction as agreed with AMANA Secretariat, Provide humanitarian assistance to families and to ensure self-sustenance of the sponsors projects. The charity director thanks the community of Chissey Majaw for providing them land for the construction of the school and call on them to work with the school management committee to proper management and protection of facility including the solar panels. Abubacar Jallow Country Coordinator of the charity call on parents to enrol their children to the school, noting that education contributes to poverty reduction and human development. He noted that the charity attaches great important to quality education and call on teachers to be vigilant and steadfast in ensuring standard. Muhamed Keita Islamic Focal Point at Regional Education Directorate in Kerewan said the school would contribute immensely in strengthen Islamic education for children. He assured of the office closer monitoring to ensure compliance in providing quality education. Alh. Kebba Sise alkalo, and Biran Sise of Chissey Majaw thanks the charity to their foresight in responding to the plight of the community and reassured of their commitment to the sustenance of the facility. The community launch an appeal for expansion of the school to accommodate more children.